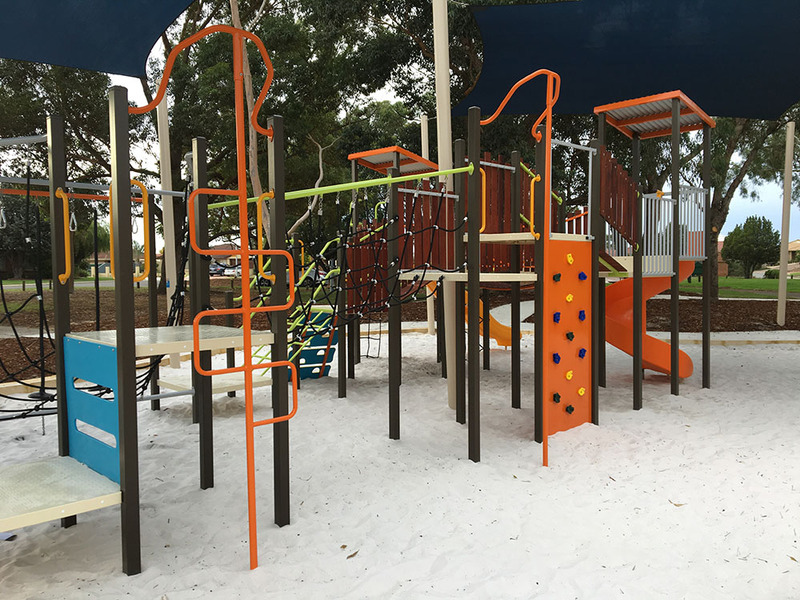 Playmaster were asked to design, supply and install a large combination unit, swings and a spinning element to this popular park - Morris Mundy Reserve in Kensington,South Perth. We were asked to design a playground that would "stand out" in a tucked away corner of Morris Mundy Reserve. 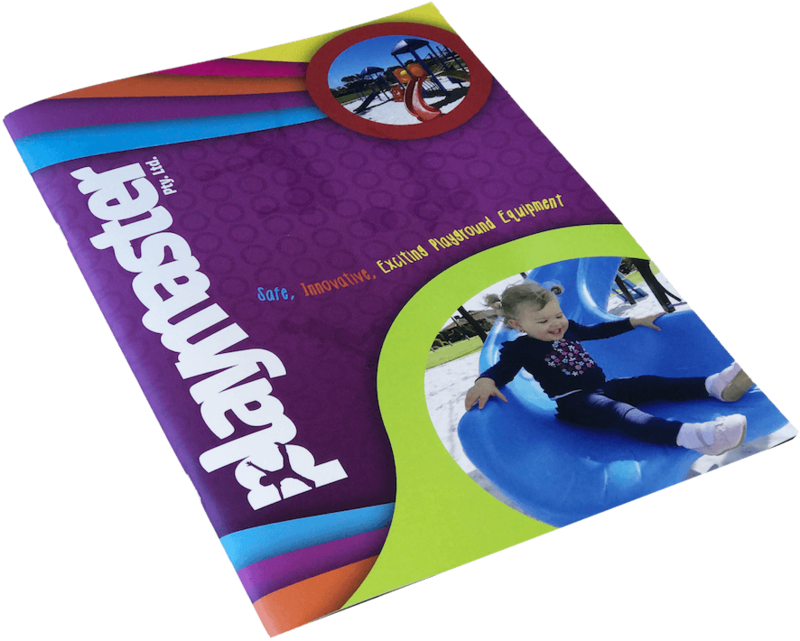 Liasing with the City of South Perth we chose the bright complementary colours of orange and blue with splashes of lime green to draw instant awareness to the new playground. The main unit has a range of climbing and balance components in sturdy steel and flexible coloured nets. The cube climber is especially popular, offering a chance to climb and "hang out" with friends. We added a double slide and Rota net spinner which are both proving popular forced movement play options. Free standing interactive panels in the middle of the playground give non-climbing opportunities for younger users. A bird's nest swing and triceratops rocker further extend the range of play options in the playground.